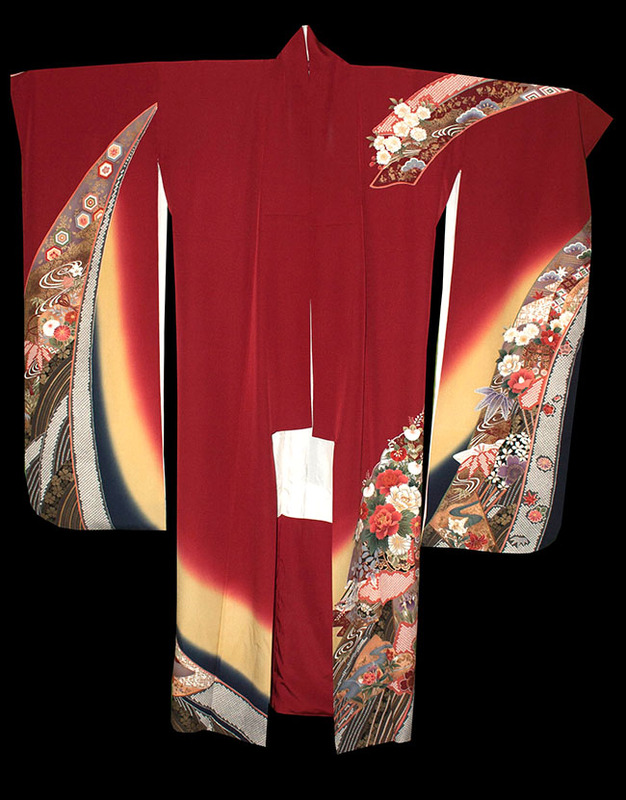 Kimoyes item: 22156 - Stunning brick red silk kimono with a crepe like weave. 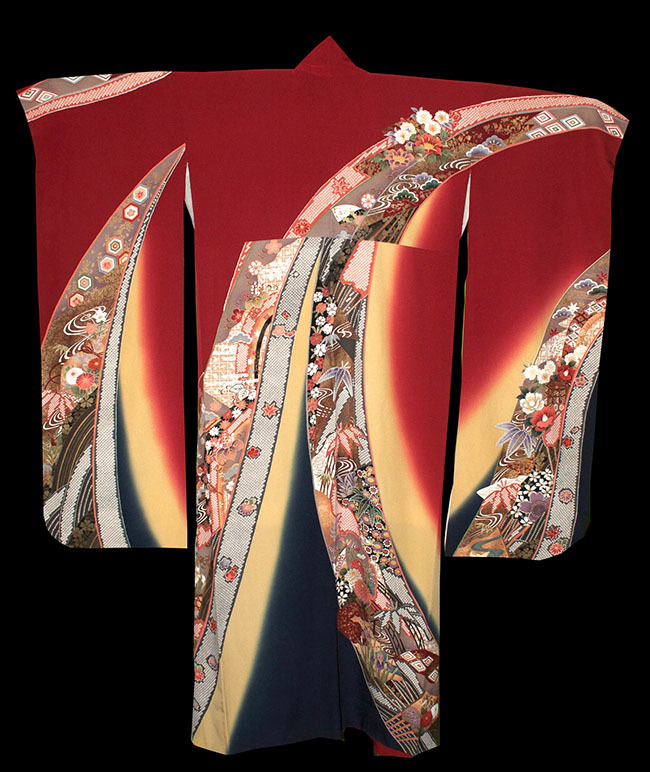 Stunning brick red silk kimono with a crepe like weave. 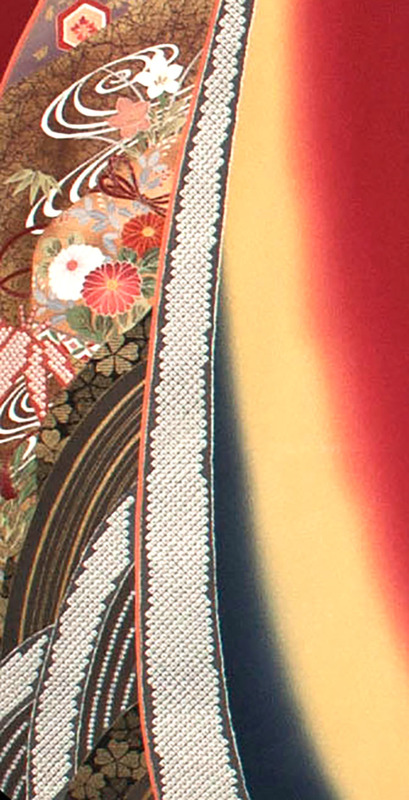 The autumn tones design sweeps across the entire garment. Lovely to wear or display.